Now that we know how to get our feet summer ready, we can talk a little more on the specific features to look for in more open styles of footwear (i.e. summer shoes). Many people who suffer from debilitating foot conditions shudder at the thought of walking barefoot or in thongs/ sandals. Let’s start here (or at the top) and work back. If your foot orthotics are the only things getting you through a day on your feet there’s good news, they can stay there! Orthotics can most certainly be used inside sandals but there’s a key feature to look out for. A ‘closed heel’ is vital to ensure your orthotic will stay under your foot and not slip out at the shops! The remainder of the sandal can be as ‘open’ as you like provided there’s a means of adjustable fixation (buckle or Velcro for example). Some sandals have a ‘sunken’ heel to achieve a similar level of security so these may work for you also. Men’s and Women’s Teva closed heel sandals. If you looked at these photos and said to yourself, “but I only need something to slip on for the beach” then don’t panic… we’re here to help you too! Orthopaedic style thongs are becoming more popular in footwear stores as consumers look for an alternative. Popular brands include Orthaheel and Fit Flops. 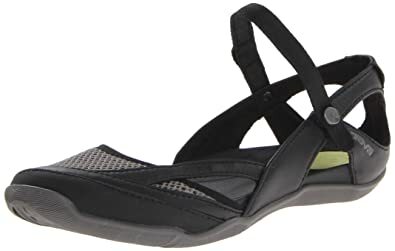 These thongs have thicker midsoles (the part of a shoe that provides support and cushioning) and are not designed to replace the need for an orthotic, but rather complement the use of one! For example, if you were suffering from heel pain and spent all day in your shoes and orthotics but came home at the end of the day and to walk around barefoot, do you think this might cause a problem? If you answered yes, then you’re probably right! Now, if you slipped on a comfy Orthaheel thong that accommodates your arch and lifts your heel slightly, are you likely to get better faster? Again, the answer is probably yes! That’s great! You’re the final demographic of the population to tick off. Put simply, there’s a lot of people out there that don’t require the level of support of the aforementioned options. But that also doesn’t mean you should neglect your feet! If you want something comfortable, neutral (i.e. 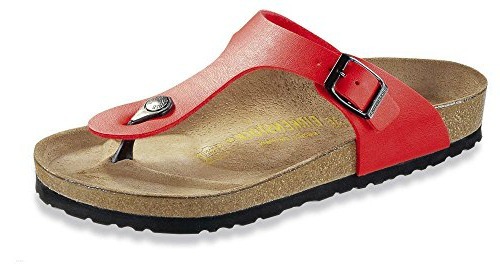 it accommodates your natural foot position), but still supportive, Birkenstocks could be for you. If the “Jesus style” slip on doesn’t cut it for you and you’re more of a Havaiana style guy or girl, we have just the solution for you. ‘Archies’ thongs are designed by a physiotherapist and are the most aesthetically pleasing flip-flops on the market! Their contoured arch, elevated heel height and tight toe piece tick all the podiatry boxes. We’ve been getting around in these for the past two years now and we haven’t look back! Nor have the hundreds of patients we’ve fitted them too! Archies are stocked at our Port Melbourne and Elsternwick clinics so please give us a call on 1300 185 335 if you’d like to give them a try!